The SurgiLance SLN300 is a disposable, single use lancing device housing a 2.8mm needle that delivers a 40-60ul blood flow. Used by medical professionals, SurgiLance One-Step Plus Safety Lancets are extremely popular. These one-step blood sampling lancets allow for better safety for the medical professional and comfort for the patient. The needle is safely concealed before and after the use. The medical professional simply gives a gentle push that activates the safety lancet. The high-speed penetration minimizes patient pain. 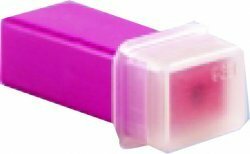 100 SurgiLance SLN300 safety lancets (pink).